Well, this is a refreshing a change of pace from the typical Artist-of-the-Week. Up this time around is Drum Corp International, AKA DCI to those in-the-know, which now includes you. Were this the usual singer/songwriter or rock band, this is the part where I would talk about where they are from, or their musical influences, or key band members. But how do I write about an organization made up of multiple bands, comprised of talented folks from all over the world? I can’t, except to say that contemporary drum corp is the torchbearer for a richly storied tradition with origins in American and Canadian military history that goes back to the first world war, with competitive circuits really coming into their own by the 1960s. Drum Corps International formed in 1972, and is the non-profit governing body for junior (under-21) drum and bugle corps in the US and Canada. Over at the DCI Nimbit store, once can download a metric tonne of live competition performances from prestigious venues like the Alamodome and University of Akron’s InfoCision Stadium. Recordings contain championship performances from some of DCIs brightest and boldest. You can also grab a DCI hoodie or a DCI SNOWFLAKE CHRISTMAS ORNAMENT, just in time for… September? Last but not least, you can get DVD and Blu-ray recordings of the 2013 and 2012 world championships, as well as the cutting-edge DCI Essentials collection, which includes top performances from DCI performances of yesteryear; up-converted to HD with a 5.1 audio mix. DVD is a great way to go, as drum corp is a highly visual medium. Click here to visit DCI’s Nimbit profile and get some epic recordings! In the film “Lemmy,” a wonderful biopic of Motörhead’s iconic frontman, Slash (of Guns’n’Roses fame) paints an abrupt picture of reverence when describing the film’s namesake. It goes something like this: “I’ve known a lot of ‘rock ‘n’ roll’ personalities, and the ones that I admire, and the ones that I’m drawn towards, are the guys that are… f***in’… the real deal. People who live, sleep, and breathe rock ‘n’ roll.” Compare that to this quote from a guy who’s not in Motörhead or Guns’n’Roses, and doesn’t play rock ‘n’ roll so much as folk: Ellis Paul. “I’ve got a car with over 4​75​,000 miles on it, and it’s my third road vehicle,​” Paul declares. “I’ve been doing 200 shows a year for over twenty years. There isn’t a town in the country where I won’t find a friend. I’m a nomad. And I’m gonna write and play until I’m gone.” Real-deal? Well, if that doesn’t sound like the real-deal lifestyle of someone who puts the “true” in “troubadour,” than I don’t know what to tell you. While Ellis claims to live in Charlottesville, VA., it seems pretty clear to me that he lives on the road. Ellis was rather inadvertently introduced to the guitar when a sports injury knocked him out of commission and he needed something else to do. He took to songwriting almost immediately, and was soon playing Boston-area gigs, and turning Boston-area heads. Over time his songwriting matured through a healthy twin-obsession with both Woody Guthrie and musical narrative, garnering a couple of local songwriting contest wins, releasing his first record, Say Something, in 1993. And somehow, when not on the road (and when is that again?) Paul finds the time to record, and at the time of this writing has released EIGHTEEN more albums—including two volumes of his childrens’ album series, The Hero in You—and culminating in his latest, Chasing Beauty. He’s also landed placements in some A-list Hollywood films, including some Farrelly brothers hits. If you appreciate the earnestness of Cash and like your guitar served up with a side order of great story, you owe it to yourself to listen to Ellis Paul. Closely. Click here to visit Ellis Paul’s Nimbit profile and get his latest, NINETEENTH album, Chasing Beauty. How many people do you think play guitar? Probably too many. So I understand if you don’t get excited when I write “here’s another guitar player.” But hold up. Fact is, not many of them play guitar like Neil Zaza, a man compelled to broaden the range of the instrument’s expressive power and bring it to the masses. Whenever I find myself starting to get board with the ocean of guitar available in popular music, I throw one of Neil’s tracks on, and I hear a mission statement. He’s like a six-string missionary. Call it Telecastervangelism. The mission statement, as I hear it through his music, goes something like, “Hey buddy, you thought guitars were boring? Think again, because I just figured out THIS.” And then my mind blows, and I fall in love with the guitar all over again, and then I press “repeat.” The heavy focus on melody and advanced technique, found here, may be enough for the average shredder. Neil’s secret weapon, however, is his genre melting-pot, which brews up such disparaging amalgams as classical and funk. Makes sense, as the man has educated himself in all of the above. He studied classical guitar at the U of Akron before moving on to teaching, and in 1987 formed the eponymous band Zaza. Zaza’s Zaza toured until 1992, and Neil has been on a steady solo gig ever since, releasing five solo records amidst international touring. He’s also landed signature guitar deals with both Cort and Carvin. Not too shabby for a kid from Akron. Keep up with Neil Zaza and Nimbit, and you follow his guitar into the future. So, what’s Music Gateway all about? Well, partnering Music Gateway with Nimbit was something of a no-brainer, and here’s why: Like Nimbit, Music Gateway cares about getting musicians paid. In short, Music Gateway allows musicians to find work specific to their skill sets. Set up a profile, including your role—you can choose from a long list that includes musicians, producers, songwriters, labels, artist management, and more. Furthermore, Music Gateway makes it easy for employers to find music workers (that’s you) specific to the needs of their project. Click here to get the word on how it works straight from MG themselves. Interested in getting a yearlong subscription to both Music Gateway and Nimbit for FREE? Of course you are. And you have a chance to do exactly that with what appears to be the easiest-to-enter contest in the history of contests. Set up and complete your profile at Music Gateway. Make your pitch at £0. Pitches will be reviewed by the fine folks at Music Gateway, and a number of users will be accepted into the workspace area for the next round of judging. You will be asked to upload a couple of tracks at this stage for review. 10 winners will be selected from these entries. Submission deadline is Sept. 8. 10x Annual Pro Level Unlimited Music Gateway Accounts, worth $195 each! Head on over to Music Gateway and get started! 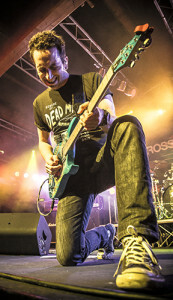 Nimbit Artist of the Week: Neil Zaza! Makes sense, as the man has educated himself in all of the above. 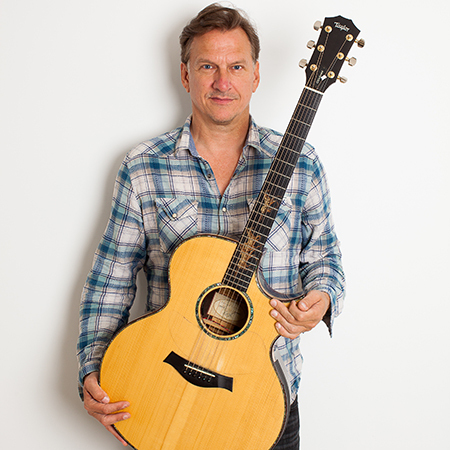 He studied classical guitar at the U of Akron before moving on to teaching, and in 1987 formed the eponymous band Zaza. Zaza’s Zaza toured until 1992, and Neil has been on a steady solo gig ever since, releasing five solo records amidst international touring. He’s also landed signature guitar deals with both Cort and Carvin. With his monster chops and ever-growing list of credentials, we were confident that Neil was the right man for the job when we tasked him with recording the guitar samples that are included in Notion and Progression. Not too shabby for a kid from Akron. Keep up with Neil Zaza on Nimbit, and ride his guitar into the future. 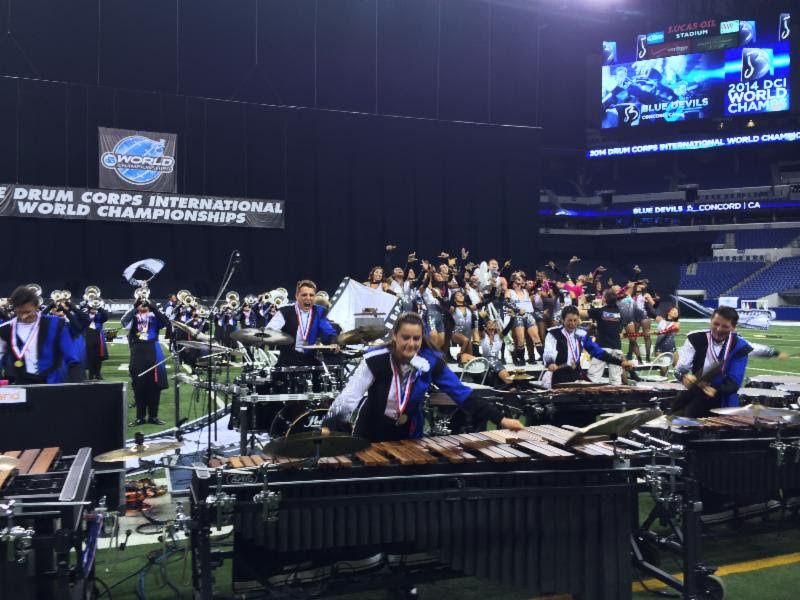 Nimbit Artist of the Week: Drum Corp International! Nimbit Artist of the Week: Ellis Paul! Compare that to this quote from a guy who’s not in Motörhead or Guns’n’Roses, and doesn’t play rock ‘n’ roll so much as folk: Ellis Paul. Real-deal? Well, if that doesn’t sound like the real-deal lifestyle of someone who puts the “true” in “troubadour,” than I don’t know what to tell you. While Ellis claims to live in Charlottesville, VA., it seems pretty clear to me that he lives on the road. Ellis was rather inadvertently introduced to the guitar when a sports injury knocked him out of commission and he needed something else to do. He took to songwriting almost immediately, and was soon playing Boston-area gigs, and turning Boston-area heads. Over time his songwriting matured through a healthy twin-obsession with both Woody Guthrie and musical narrative, garnering a couple of local songwriting contest wins, releasing his first record, Say Something, in 1993. And somehow, when not on the road (and when is that again?) Paul finds the time to record, and at the time of this writing has released EIGHTEEN more albums—including two volumes of his childrens’ album series, The Hero in You—and culminating in his latest, Chasing Beauty. He’s also landed placements in some A-list Hollywood films, including some Farrelly brothers hits. If you appreciate the earnestness of Cash and like your guitar served up with a side order of great story, you owe it to yourself to listen to Ellis Paul. Click here to visit Ellis Paul’s Nimbit profile and get his latest, NINETEENTH album, Chasing Beauty. To call Jen Foster a singer/songwriter and leave it at that would be doing one of Houston’s finest a gross disservice. A complete solo artist in the truest sense of the term, Jen writes and performs her own award-winning music, runs her own record label, provides music for film and TV, and somehow manages to tour to packed houses and festivals all over the country. So far, she’s shared the stage with Melissa Etheridge, Brandi Carlisle, Edwin McCain, and many more. Oh, and she’s also on the Board of Directors for the Nashville Songwriter’s Association International. 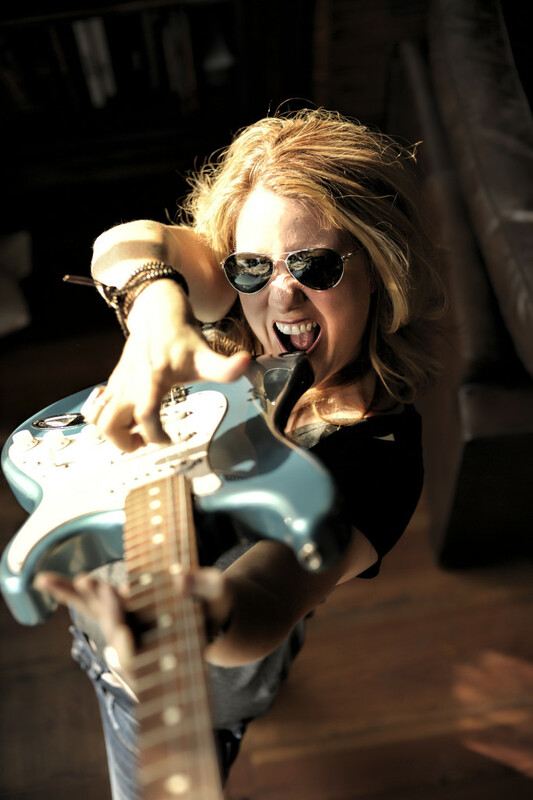 Jen’s also a proud believer in music as a force for change, and is the architect behind songwriter series The Writer’s Share, which brought together Richard Marx, Keb’ Mo, Mike Reid, and Chuck Cannon to benefit the TJ Martell Foundation for Cancer, Leukemia, and AIDS. She followed up with the Christmas Time is Here video collaboration project and She4Marriage Equality. A model Nimbit user as well, Jen’s slinging no fewer than four full-length albums, 11 singles, and a veritable summer collection of fashionable Foster-branded wearables, including beanies, rings, tank tops, t-shirts, bracelets, and—in perhaps a Nimbit merch first—CUSTOM DOG TAGS! Click here to visit Jen Foster’s Nimbit profile and get her latest EP, You Stayed. Or dog tags. Johnny A. is the torchbearer instrumental guitar rock needs in 2014. One doesn’t have to listen too far into his discography to hear echoes of Duane Eddy and Link Wray alongside his intimidating blues chops—some admittedly big shoes to fill. But with a Blues Artist of the Year Award (2010) and a namesake signature guitar available from some company called “Gibson,” it’s safe to say that Johnny A. is the right guy for the job. His latest record, the appropriately-titled Driven, might just be the perfect soundtrack for a road trip through the American desert southwest. A solo album in the truest sense, Johnny played all the instruments himself, produced, and mixed! His gritty tones are suitably mixed front-and-center, of course, dialed in with just the right amount of gut and reverb to evoke both danger and beauty in equal measure. Throughout the record, his guitars are balanced with a tastefully diverse array of percussion and horns. And hell, a little pedal steel never hurt anybody. Johnny’s got one of the slicker Nimbit store designs we’ve featured of late, opting for a more jukeboxy vertical layout instead of the more typical horizontal scroll, wrapped in a palette evocative of Driven‘s cover art. In it, you’ll find no less than five full-length recordings, a handful of singles (including some yuletide classics) T-shirts, autographed posters, and more. 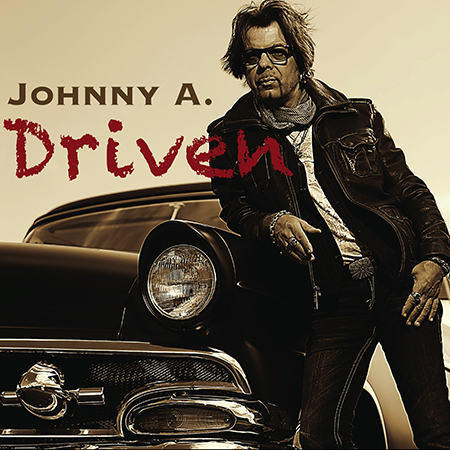 Click here to visit Johnny A’s Nimbit profile and get his latest record, Driven. While dUg Pinnick is probably best known for his long-running (fifteen-album) streak with legendary American hard rock/progressive metal band King’s X, he’s also knocked out four solo records and numerous side projects during his sonic career. Equally accomplished as both a bassist and vocalist, dUg’s unmistakeable style explores the arresting contrast of his “gospel-like” voice soaring over the heaviest bass tones around. The result is an incredibly satisfying contradiction, at least somewhat comparable to salted caramel. Sounds kinda weird on first mention, but then you had some kettle corn one day, and there’s really no going back, is there?Confectionary metaphor aside, what I’m getting at here is that words don’t really do justice to the man or his art. It’s better to just click the link below and give the Pinnick sound a taste for yourself.dUg’s latest solo effort, Naked, is available on his Nimbit store alongside some of his more recent singles. 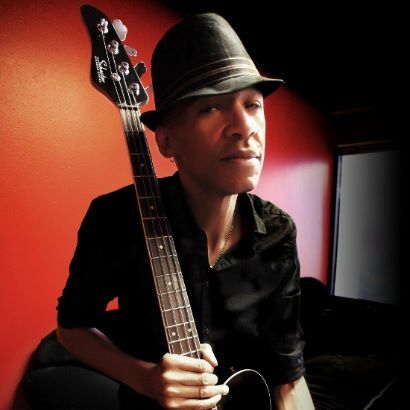 Click here to visit dUg Pinnick’s Nimbit profile. And when you’re done with that, check out how King’s X has been taking advantage of the StudioLive mixers in this blog post right over here. Jazz vocalist/songwriter Thisbe Vos landed in Los Angeles in 2008, following a whirlwind musical career in her native Netherlands that began when she was a mere 17 years of age. L.A. brought Thisbe access to a broader array of jazz musicians suitable to her creative vision, and by 2011 she had assembled a solid band and released Sophistication, a wonderfully restrained slab of old-school cool that adroitly draws from the past without spiraling headlong into nostalgia. “Vintage” audio “quality” of yesteryear is notably, wisely absent, and in its place we find a contemporary sheen that does Thisbe’s voice justice. A true believer in fan engagement, her 2013 full-length Under Your Spell is a fan-funded endeavor that sees a more broadly diversified array of instrumentation backing her velvet voice. Worth noting is that said instrumentation is both performed and mixed with great discipline, and never distracts from the real star of the show here—voice. While a bigger band is a welcome and natural progression for a sophomore effort, fact is Thisbe’s voice could confidently carry a record a cappella, if asked. While her namesake dot com name-drops Fitzgerald more than once, one would be remiss to single out Ella as Thisbe’s sole influence—this writer hears a healthy dose of Julie London in there somewhere—an observation I trust Thisbe would be comfortable with. “Nimbit is the best integrated services platform for musicians that I have found. Having your emails, webstore, promo widgets and fulfillment all working together is invaluable. It is also very reasonably priced,”Thisbe says. Thisbe’s Nimbit profile keeps things classy and to the point. You can get her recordings as digital downloads or on CD—autographed or vanilla. Wisely, there is no branded apparel to be found, as folks who are into Thisbe Vos are generally too cool to advertise. Get Under Your Spell and Sophistication on Thisbe Vos’ Nimbit profile by clicking here. Nimbit Artist of the Week: Thisbe Vos! Nimbit Artist of the Week: Johnny A! Nimbit Artist of the Week: Jen Foster! 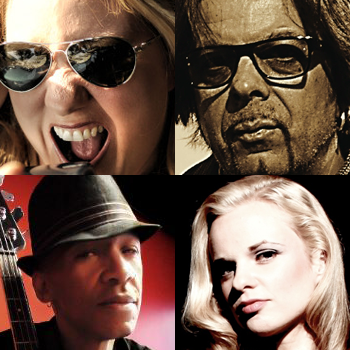 Nimbit Artist of the Week: dUg Pinnick! While dUg Pinnick is probably best known for his long-running (fifteen-album) streak with legendary American hard rock/progressive metal band King’s X, he’s also knocked out four solo records and numerous side projects during his sonic career. Equally accomplished as both a bassist and vocalist, dUg’s unmistakeable style explores the arresting contrast of his “gospel-like” voice soaring over the heaviest bass tones around. The result is an incredibly satisfying contradiction, at least somewhat comparable to salted caramel. Sounds kinda weird on first mention, but then you had some kettle corn one day, and there’s really no going back, is there?Confectionary metaphor aside, what I’m getting at here is that words don’t really do justice to the man or his art. It’s better to just click the link below and give the Pinnick sound a taste for yourself.dUg’s latest solo effort, Naked, is available on his Nimbit store alongside some of his more recent singles. Click here to visit dUg Pinnick’s Nimbit profile.And when you’re done with that, check out how King’s X has been taking advantage of the StudioLive mixers in this blog post right over here.